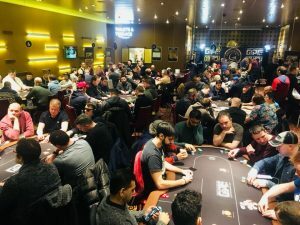 After action packed ten levels of play Day 1b of GUKPT Manchester 2018 is now in the history books. It’s been a great days poker with a huge turnout that no one was expecting! 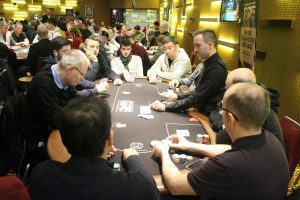 There were 125 players today and with re-entries it created a massive 171 entries easily covering the guarantee and then some. 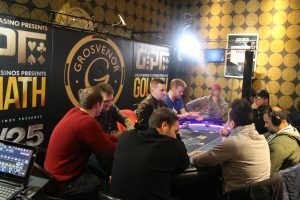 In total GUKPT Manchester has had 241 entries, collecting £241,000 for the players to play for over the next two days. Some of the best players in the UK have turned out to support the UKs longest running tour and there have been some really tough tables in the field today. Alan Carr has held the chip lead from level number 4 and finishes the day on top, he bags up a massive 218,700, over 60k more than Terry Owes who has finished the day in second place. We’ll be back to play another ten levels tomorrow where there are 83 players coming back. The player are now bagging and tagging. Full chip counts will be up with you as soon as possible, but around 50 players have made it through the day. The clock has been paused with 10 minutes remaining. The players will now play 5 more hands before bagging and tagging for the night. Greg Hunt says he’s had enough and moves all in for his 11,000 stack. Richard Kellett makes the call. Greg tables against the of Kellett. The flop comes as Kellett flops an open ended straight draw. Kings hold for Greg who will have to play a little longer as he doubles to just over starting stack. Kellett is down to 60,000. 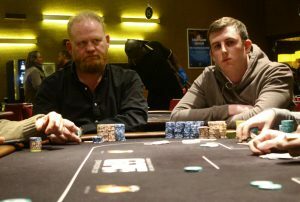 Carl Pickles opens the button, James Bullimore shoves all in from the small blind for 20k and Carl makes the call. James tables and needs to get lucky against the of Carl. King hold for Picks as he takes the pot and now has 50,000. We lose James from the tournament here during the last level of play. The players are back seated as we begin level nine. The blinds are now 400/800 with a 100 ante. Break time now for the players as they take 15 minutes before beginning the last two levels of the day. Esa Pirttijarvi three bets from the button and the opener Anthony Gardner, makes the call. Anthony checks to Esa who bets 5,000, with 5k behind. Anthony raises to 10k and Esa calls it off! Absolutely grim for Esa as he is two outered on the river and busts the tournament. Anthony gets lucky and takes the pot with a set of Jacks, he now has around 40,000. 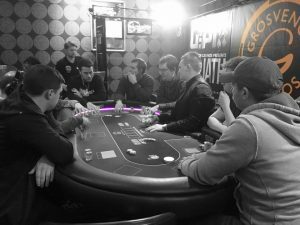 The cardroom is absolutely buzzing! Every single table is FULL!! Still 92 players in the main event. 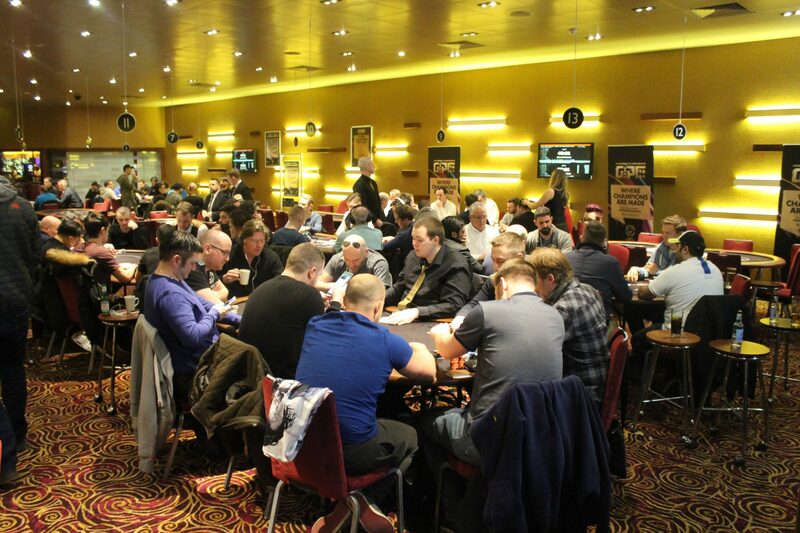 Four cash tables running and the turbo bounty side event is well underway with 40 entries! The blinds increase as they are now 300/600 with a 50 ante. 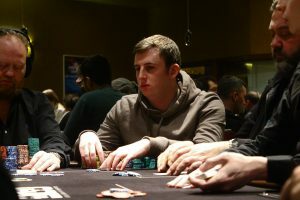 Alan Carr is the chip leader here on Day 1b, he currently has 185,000 which is double what our Day 1a chip leader Jack Sandford finished with yesterday. 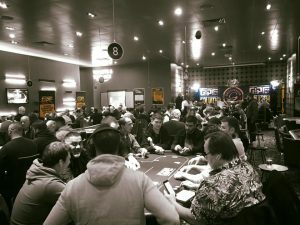 Registration has now closed for GUKPT Manchester!! 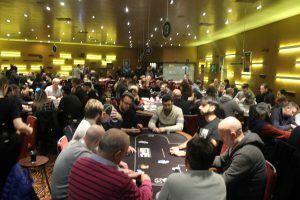 Despite the weather there has been an absolutely fantastic turnout of 241 players over the two days of buy ins. 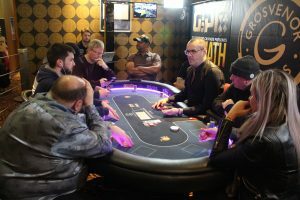 The UK poker players have turned out in force to support the UKs longest running tour. 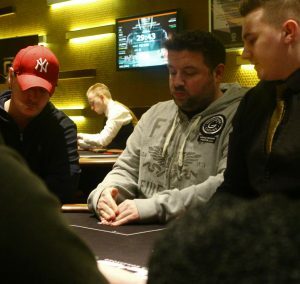 The players are back seated as we begin level 7. The blinds are now 200/400 with a 50 ante. 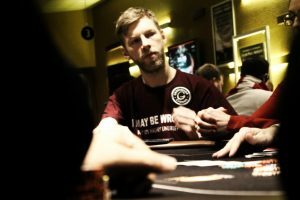 The players are still coming through the door and we currently have 225 entries, the most recent buy in being Jeff Kimber. We get to the table on a board of there is 8,000 in the middle when Qasim Zia and Dom Mahoney request the all in triangles as they get it all in! 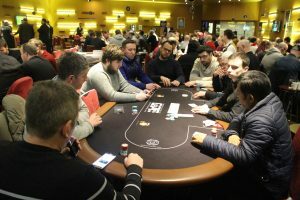 Dom tables Qd for top set, Qasim shows for a flush draw. Dom lets out an expletive as Qasim rivers a flush! He is all in for 13,000, doubling up to 35,000! Dom is down to fumes. The blinds increase as we begin level number 6. 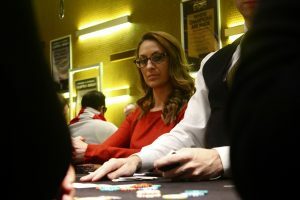 The last level of buy ins. 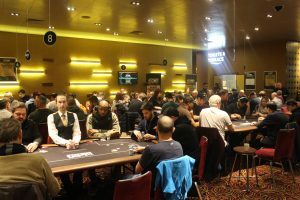 217 entries in total for this years GUKPT Manchester Main Event. 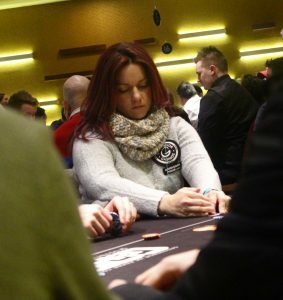 Katie Swift & Suzie Williamson battled their way through the weather to get to Manchester to play the main event, both are hovering around 30,000 during level number 5. The players are back seated as we begin level number five. 140 entries so far today. Dinner break now for the players as they take 60 minutes. The blinds increase as we begin level number four. 120 entries so far today. We get to the table on a flop of Andy Hills and Naseer Ahmed get involved in raising war which results in Andy moving all in for 15,000 and Naseer makes the call. Andy tables for middle set against the of Naseer who has two pair. A set is good for Andy to take the pot and doubles to 33,000. Naseer is down to just a few thousand. The players are now back seated as we begin level number three. 95 entries so far today. At the moment there are 155 entries so far for both day ones. That means the GUKPT are currently adding a massive £45,000!! The blinds increase for the first time today as we begin level number two. 75 entries so far today. 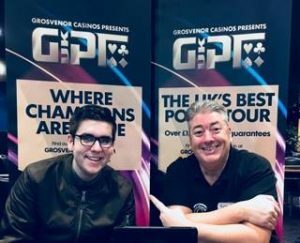 The Tower & Jay Harwood are now LIVE from Day 1b of GUKPT Manchester. All hole cards shown on a thirty minute delay on our stream, you can watch it HERE!! The cards are in the air as we begin level number one of Day 1b. The blinds are starting at 25/50. 45 players to start the day. We should be underway within 5 minutes. 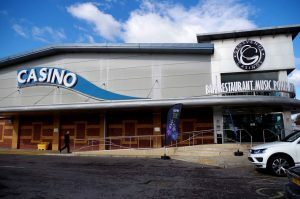 Good afternoon and welcome back to the Bury New Road Casino in Manchester for the second day one of the GUKPT Manchester Main Event. The tournament is a £1000+£110 entry with a guarantee of £200,000!! At the moment there is added value to the tune of £130,000 after 70 entries turned out yesterday. Late registration is open for the first six levels of play today, so until 8:30pm and players are allowed unlimited re-entries. We’ll be here with you for the duration of play today, bringing you live blog updates, exits, chip counts, pictures and the live stream which runs on a thirty minute delay with all hole cards shown. Play begins at 1pm today.